This ESP8266 Wifi chip based development kit is the easiest way to get started with ESP8266 and IoT in general. It is based on easy to use Lua scripting where you can simply command the hardware to perform variety of tasks like GPIO, PWM, I2C, WiFi etc just by writing simpel script of a few lines. Event driven API for network applications, which facilitates developers writing code running on a 5mm x 5mm sized MCU in NodeJs style. It speeds up your IoT product development cycle. You can code this kit just like a arduino code but only difference is Lua script is interactive you write the script directly on console and a hit on enter button actually starts running the last statement. USB-TTL based on CH340G is included on board, Enabling Plug n Play. Small Sized module to fit smartly inside your IoT projects. 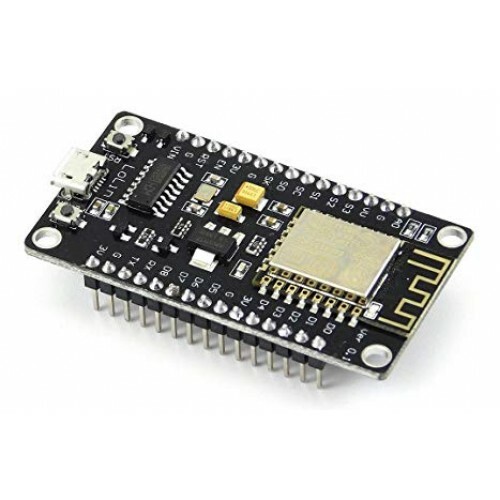 Find resources related to nodeMCU at its GitHub.